These are AWESOME!!! 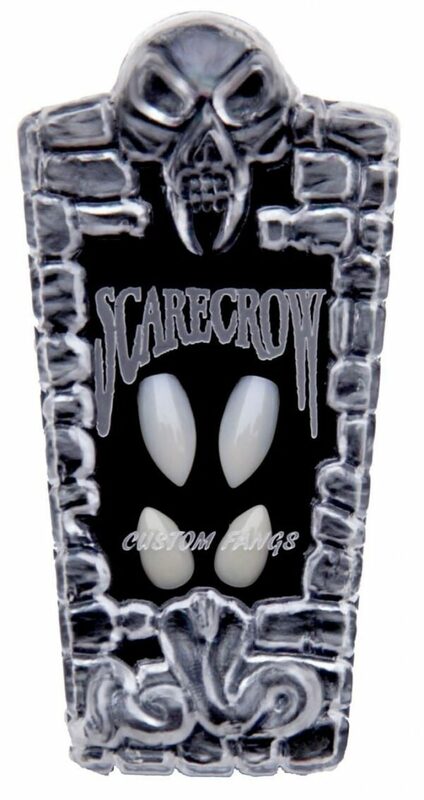 They come with a set of Natural fangs AND a set of Subtle custom fangs for the bottom! The Mad Scientists in the Scarecrow Laboratory have done it again! 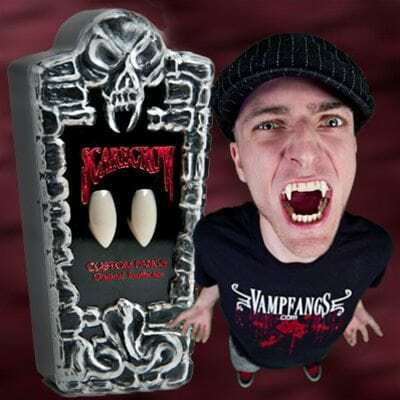 In honor of our 10th anniversary, we’ve created these new, easy to use Custom Vampire Fangs for Halloween, gaming or just hanging out! There is NO boiling water, NO complicated & unsightly partial plate to construct and NO adhesives necessary. 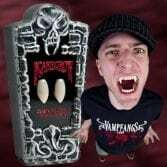 These fang caps are designed to fit snugly over just a single tooth for the most realistic look possible. They fit GREAT and will last a lifetime! A smart shopper will notice this kit includes a set of Natural Fangs AND a set of Subtle fangs! 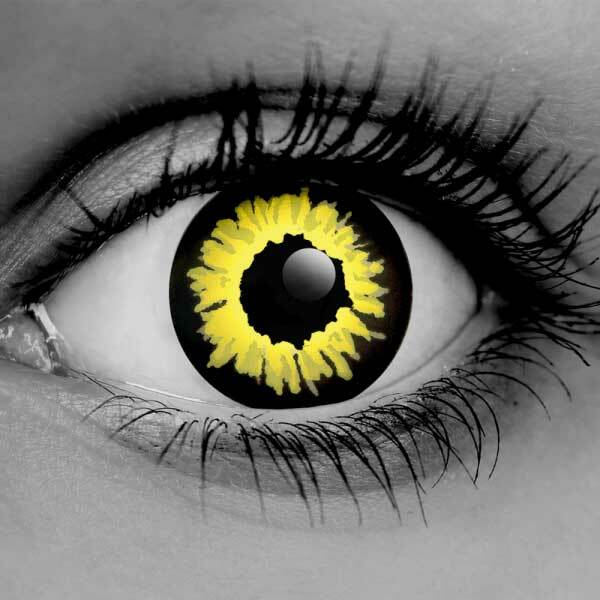 Wear them as the werewolf kit or separately! They’re really, really natural looking! 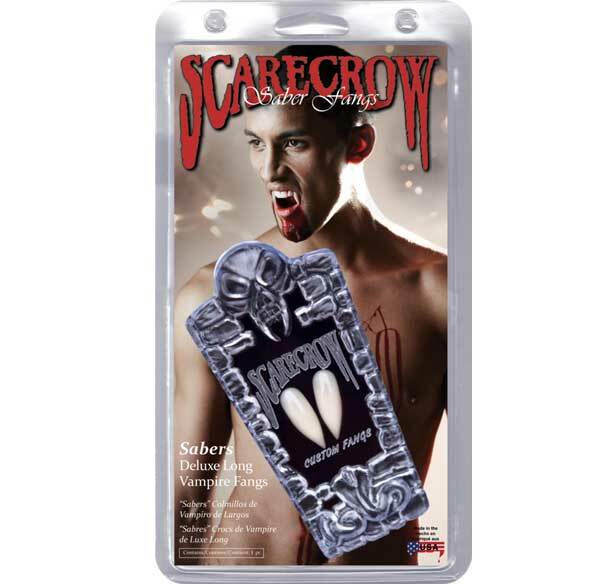 If you have trouble with fangs in the past, these are the ones for you. Seriously, get em. They’re worth the money! Do these work with a slight overbite? also can you talk normally with them in? Tough to say how they will fit you. Everyone’s mouth is different. 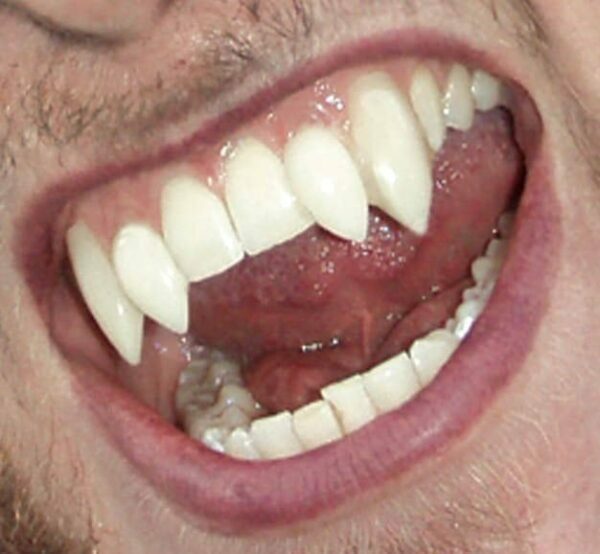 As far as talking normally… when you first start wearing fangs, you will likely have a lisp. 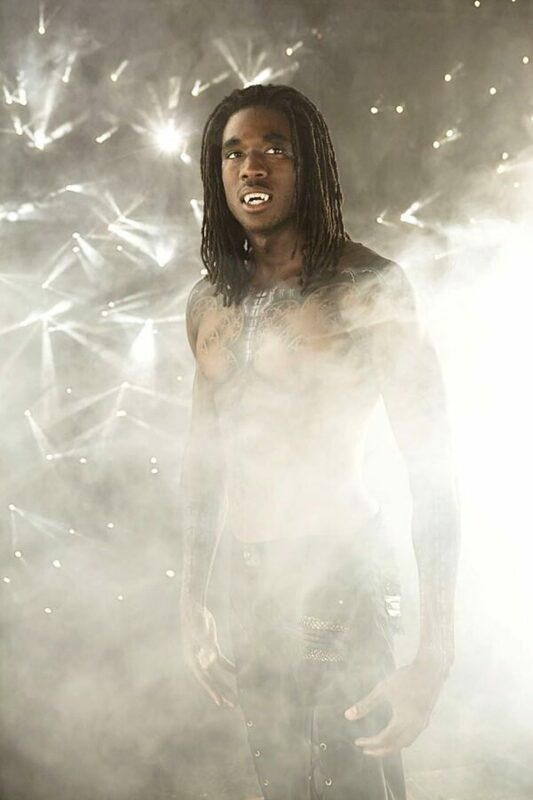 Once you practice speaking with fangs, this will fade. Most people won’t have any noticeable lisp once they get comfortable with them. 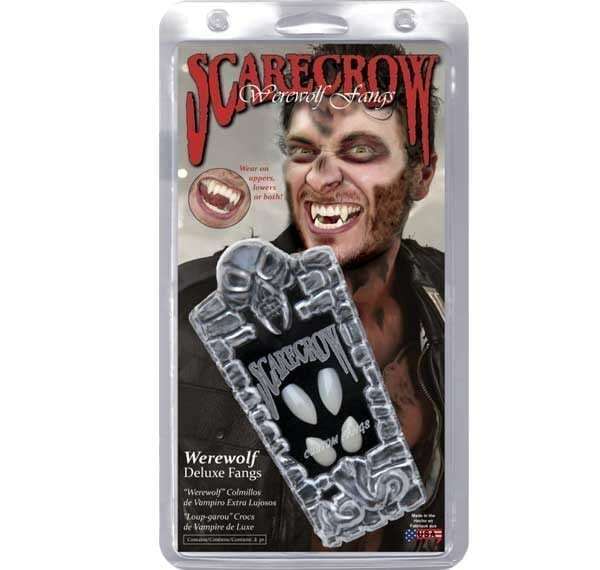 Living for these fangs they look so real it’s crazy!! These are so awesome and unique! 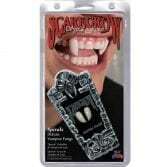 It gives you different ideas on how to wear these teeth! They are so realistic and comfortable. Shipped quickly and customer service is great! Something a little more subtle and comfortable for general use. Ideal for people on the more petite side who may look a bit more comical than fierce wearing the sabers of the classic set. Fresh cases should arrive on Monday!! 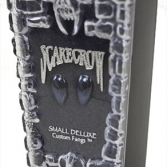 I remember having these ones and a hand full of the other fangs this site offers. 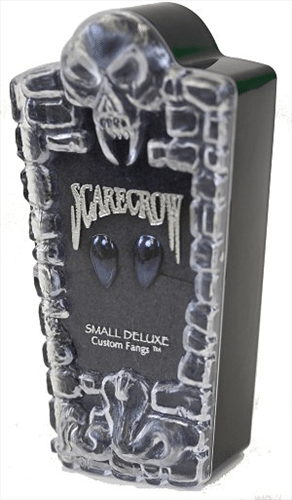 I love love love the werewolf ones for sure theses are the best. Super comfy easy to mold and makes me feel better about my natural small canine teeth. 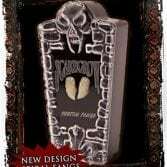 Totally have to reorder! I bought these a long time ago but I thought I’d go ahead and leave a review. I had them for years and only had to refit them once. 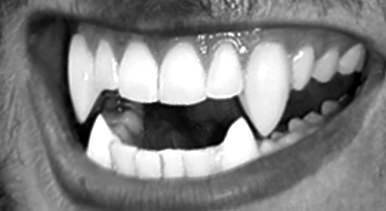 I did end up messing up the top fangs eventually when I wore them alone for a vampire costume and drank candy blood, which stained them. I knew I wasn’t supposed to eat or drink with them in though, so that’s on me. 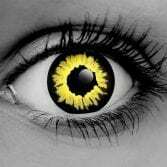 I’m probably going to order another pair soon, I miss wearing them sometimes. 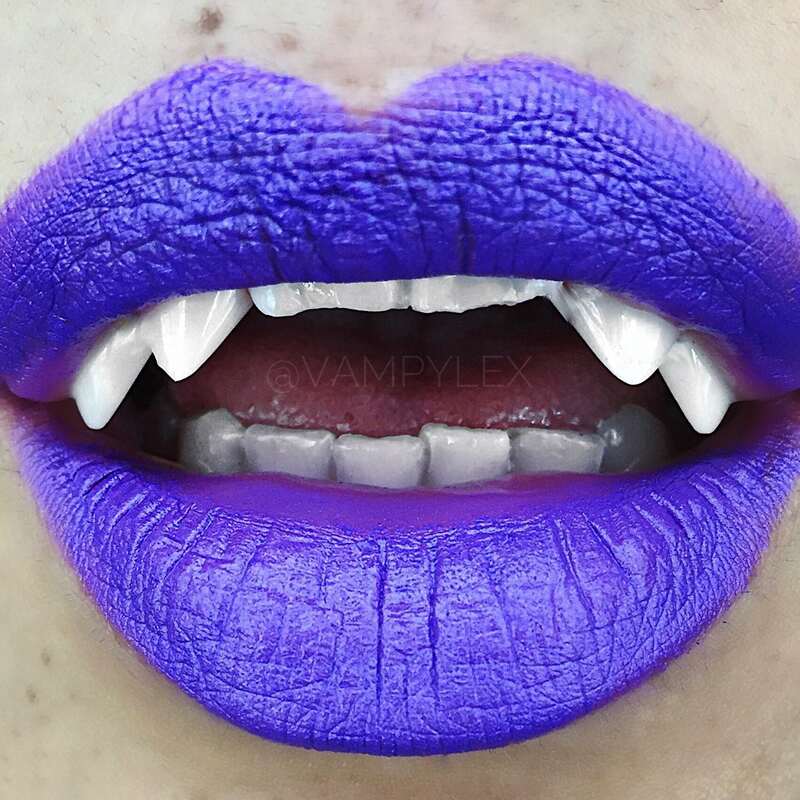 I had a couple of Halloween themed parties to go to this year, and I didn’t want to wear the same costume to every one of them, so these fangs worked out great! 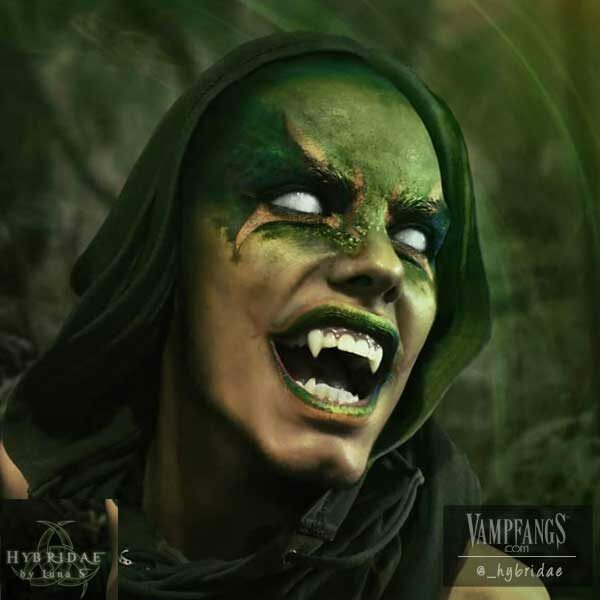 I was able to change up my look from a classic vampire, to a werewolf and even a goblin costume. 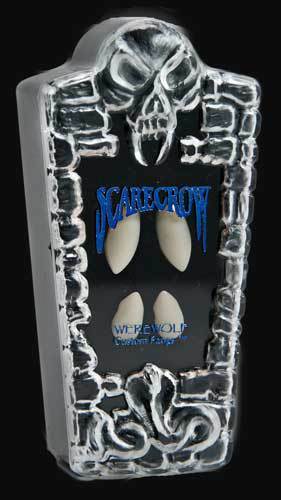 I went with these because they were smaller than the other werewolf fangs on this site, and I am glad I did! They were easy to mold and they looked fantastic! Because they were smaller it was still pretty easy to talk around them and they were comfortable to wear. Is this the small size or the normal size? The normal size is too big for me. I love how these look! I got them pretty quick in the mail and fit them that day. 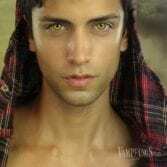 The perfect werewolf look! Comfortable, easy to fit and they look great.